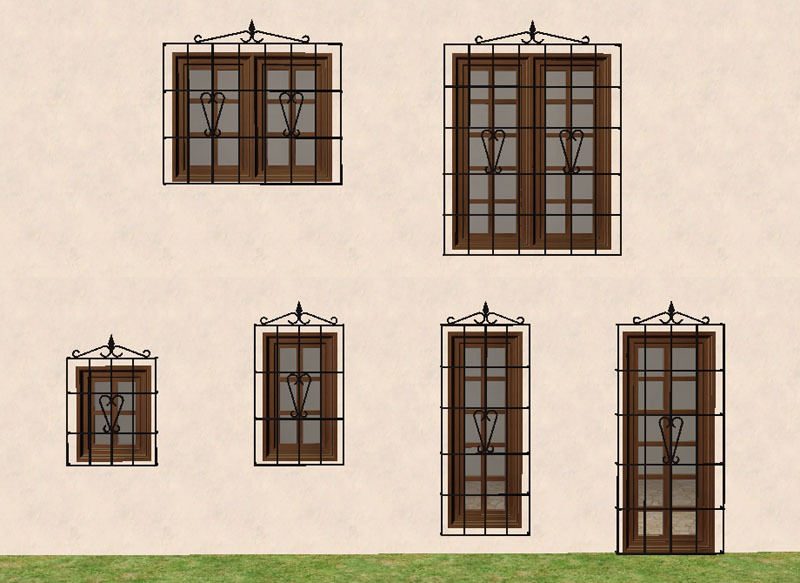 It contains a collection of decorative architectural items that will allow you to customize your windows. 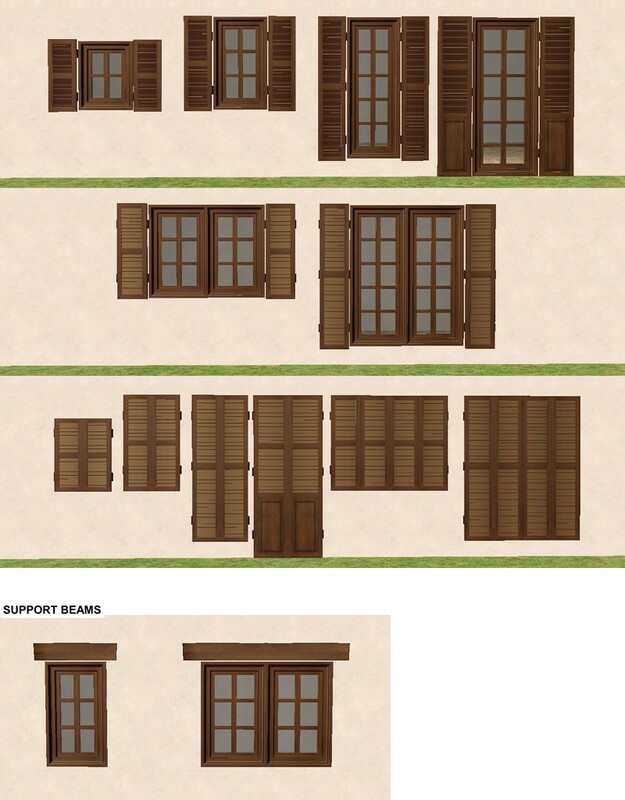 There are four different kinds: Window bars, ledges/French balconies, shutters and support beams. 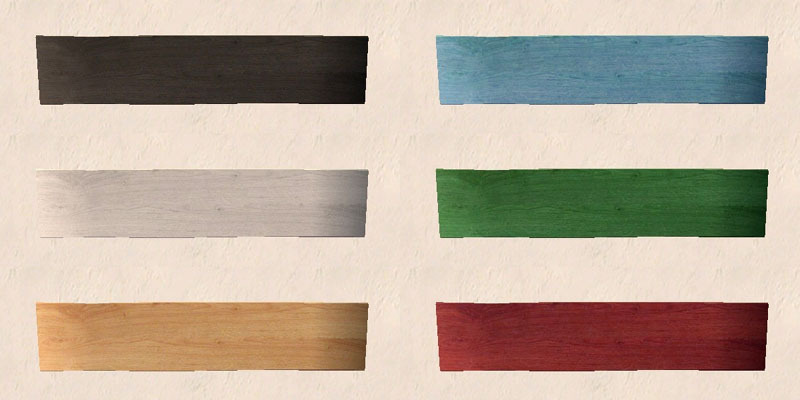 All the objects above have diagonal versions. They place easily without any use of cheats. They can also be shifted up and down if you have Apartment Life installed AND the nifty little ‘Shiftable’ mod by Goggalor at MATY. Find it HERE. (Goggalor’s download contains shiftable mods for a number of objects. If you only want the one for these objects find the one called ‘shiftcurtain’ in the ZIP-file you download from MATY). 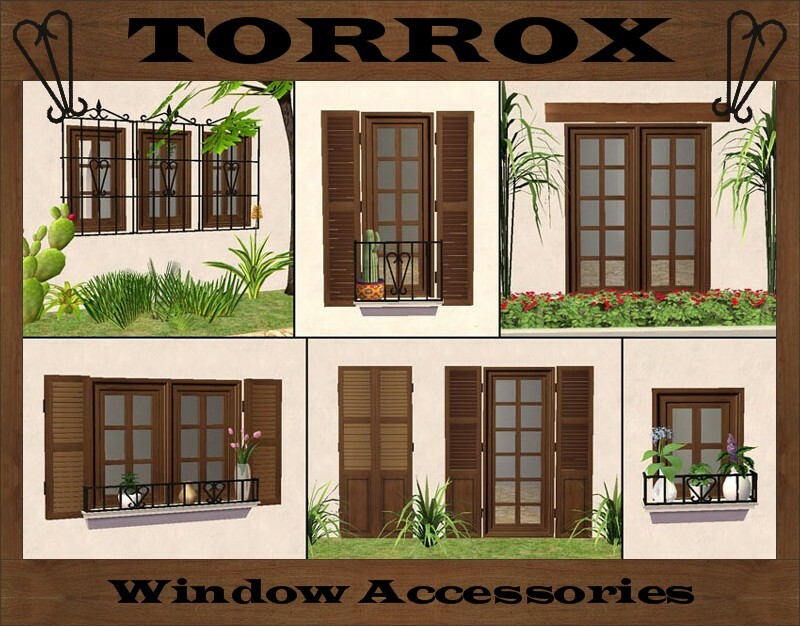 All the window accessories fit the Torrox windows. 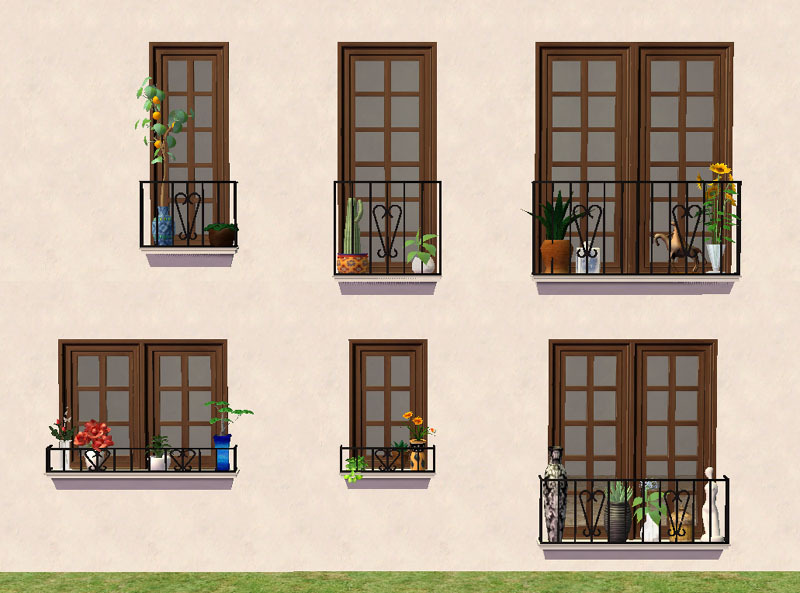 But if shifted up or down they can be made to fit almost all Maxis windows and a fair amount of custom ones, too. 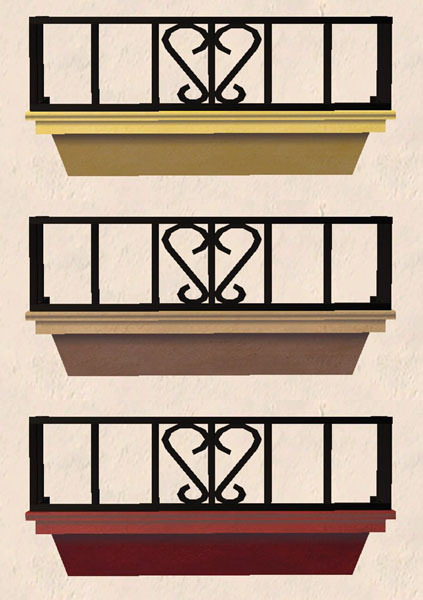 The window accessories are slaved to either the Torrox two-storey window (shutters and beams) or the Torrox fake staircase/balcony (bars and ledges/balconies) – both found in THIS THREAD, so you must have those two master objects in your game to make the window accessories work. 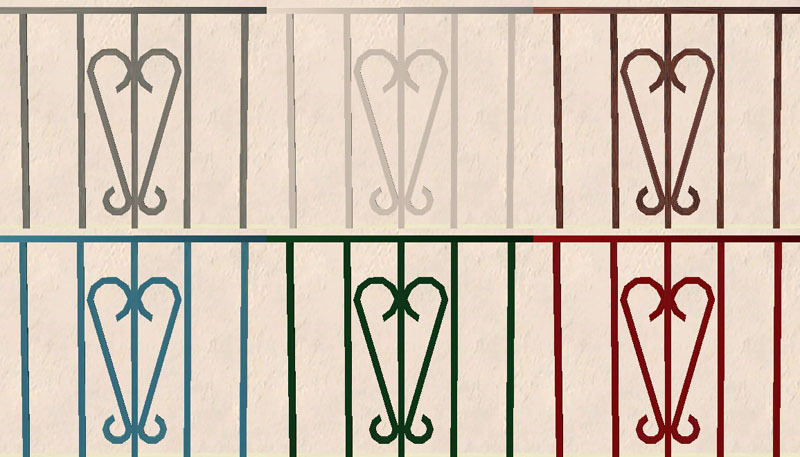 See screenshots below of the window accessories recolors you get if you download the recolors for the two master objects.